Dear Mr. Angelos: It’s Just About… Life. The other night I was in attendance at the Babe Ruth Birthday Bash at the Sports Legends Museum at Camden Yards in Baltimore. Part of that event was an Orioles baseball forum with a group of radio, tv and newspaper reporters. Every seat in that room was filled, so I stood in the doorway. Eventually I raised my hand to ask a question, but more to make a statement. As I listened to others in the room ask questions about players the O’s might get, holes in the team which needed to be filled, money which may or may not be spent, and discussions about the owner, Peter Angelos, I had an idea. I spoke out and told the group I was going to write a letter to Mr. Angelos and tell him a story, just so he could better understand what I feel and I’m sure to speak for more than just myself in sharing these feelings. This letter is not meant to be critical, there’s no begging, no personal attacks, it’s just to speak from the heart and share these emotions with the man at the top of the Orioles franchise. Picture this: An early summer night in 2012 at Camden Yards, my wife and my two daughters, ages 12 and 10, sitting beside me in the upper deck behind home plate, watching the Orioles. 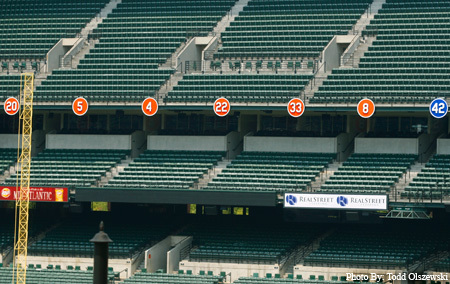 My oldest, Sophie, turns to me to ask about those numbers hanging from just beneath the upper deck in left field. Mr. Angelos, Peter, this is my personal letter to you. There’s a reason that picture, that moment, that conversation has stayed embedded in my memory, because it means something and at the same time it signifies what meaning had been lost. It was incredible to be sitting there with my family and my two daughters, who for the first time in their lives were experiencing what it meant to be a baseball fan, to be an Orioles fan. How these moments enrich your life and how this game, this 6-month, and if you’re lucky, 7-month soap opera can make the spring, summer and early fall a magical time. How nearly every night is filled with the sounds of the greatest game ever created, and every day is the anticipation of another to be played. For the very first time, Sophie and Emily got it. My daughters, the loves of my life were experiencing the same thing I and my wife had done growing up in Baltimore. A 15-year gap in time had been closed for us, but for my girls, that time was lost. The Orioles skipped nearly a generation of significance in this town. The Ravens filled the void, easily. They drafted, paid for, signed, coached and played their way into the hearts and minds of this great city. Winners. Baltimore easily embraces a winner, and at the same time is gracious when there is an off-year, an off-season, because the people of this town are also forgiving, we understand you can’t make magic every year. But then there were the Orioles. Year after year after year after year of losing. Not just losing, not even showing up. I’m not going to recount all those years and that history, because it’s not the point of this letter and frankly, I’m not even in a position to do so, because I stopped paying attention. My daughters never even got the chance to start. 2012 changed all that. Baseball roared back to the forefront of our lives. The Orioles brought the magic back and magically my family paid attention again. Every feeling, every emotion I had locked away for 15 years came rushing back to the surface. And now my girls were along for the ride. Orioles baseball and attention to it, the passion for it returned to the inner four walls of my home and like moths to a flame we were drawn back to the ballpark as well. As I’m sure you know, there is nothing quite like spending the time at the ballpark with your family…when the time is right. The time was right. The time is right. The point of my story is I’m not writing to criticize you, I’m not writing to beg for this player or that player, I’m not part of the baseball front office running this team, I’m not part of the ownership group. I’m simply a fan, sharing a story and in doing so trying to make a point. Peter, don’t miss the opportunity to leave a legacy. You have owned this team for more than two decades now and it’s been three decades since the Orioles and this unbelievable city felt what it is like to be a baseball champion. But forget history, you can’t live in the past, you can learn from it, but you must, you must live for today and the hope and promise of tomorrow. The point I’m trying to make is to give hope Peter. From all that I hear, all that I read, and all that is talked about, in the end it’s up to you. You hold the purse strings, you make the tough decisions and I have no doubt they are tough. Money creates incredible emotions, having it, saving it, investing it and spending it wisely. You are a self-made man. You came from nothing, from meager beginnings and built an empire. You don’t like mistakes, you have been savvy and shrewd, you don’t get to where you are by doing anything less. You want to give back. You set out to save a city by buying a baseball team from those who stopped caring about baseball in Baltimore. And I have no doubt, no doubt, that you care deeply. And you make the tough decisions every day. Today the cost of running a baseball team is enormous, the dollars players make are off-the-charts and into the stratosphere, even for those you might consider mediocre. But it is the reality we live in now. The same guy who 20 years ago got paid $2 million to throw a baseball and to lose just as many games as he wins, now costs $12 million or more. I get it. It is what it is, it is the economics of the game. It is the world we live in and if you want to compete you have to let go of the past and live the reality of today. It’s not easy, we all want the “good old days” to remain, but the world changes, not just the economics of sports, but the world. Change is inevitable, growth is optional. But once you start growing, how wonderful it can be to keep the upward momentum going. But if you stop growing, you die. Two seasons ago the Orioles brought baseball life back to Baltimore. It was a huge hole in the heart of this city that had been growing ever wider for more than a decade and if the magic hadn’t happened then, maybe a hole so wide, a gap so large there would have been little which could have been done to repair it. But they did. The players, the manager, the front office, the owner…in one magical 162-game season, the incredible allure of baseball returned to the very center of this city and its collective heart. The Orioles were back. 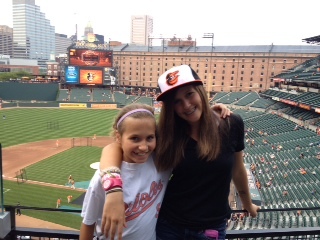 My girls, sitting beside me that night at Camden Yards and throughout that season were along for the ride. All I am asking you is to keep it going. Don’t et the magic slip away again. You have the nucleus of a fantastic team, you have the best manager in baseball, you have the best and the brightest baseball minds in the game in that front office. And you, at 84-years-of-age, have what we all have, mortality and time, which every day ticks away, sometimes slowly, sometimes at breakneck speed. The goal of this human existence is to make the most of that time, to make your existence matter, to give back, to leave it better than you found it. As the game ended in with another Orioles victory that summer night in 2012, the bleachers and the seats in the upper deck emptied out, the lights were turned off and for a few moments there was darkness. Then there was music playing and bright, colorful lights shooting straight up into the dark night sky. A post-game fireworks show, the perfect end to a perfect night. As I sat there staring at the faces of my children, and saw the lights reflected in their own eyes, I thought about all that we had missed over the years, not getting to share this experience together. It wasn’t just the fireworks, it was the Orioles, it was baseball and winning baseball bringing us together as only this game can. Baseball is just like life and life is precious. So is winning. All I’m asking is not to take all of this for granted. There is such a fine line between competing and being a winner. In this game, in the reality of today’s major league baseball, it’s the extra move, the extra player, the extra dollars spent to put the extra in front of ordinary and make it extraordinary. Do what it takes to keep the heart and life of this Orioles team beating. Do it for me, do it for my girls, do it for every fan and every family who wants nothing more than to see the winning continue. Don’t let another generation miss the magic. Leave a legacy Peter. If nothing else, do it for you. What a wonderful letter! I had the good fortune to grow up with the Orioles. I am 60 years old, so I saw all the old glory. I attended the 66 World series, I attended the 83 World Series. I remember the old Orioles magic. I had the good fortune to meet many of those old players. Some even attended my wedding. I would love to see the old magic back, but it starts at the top. I hope your letter makes Mr. Angelos think. Thank you Kathy. Thanks for reading. Very nicely done. I almost gave up my season tickets several years ago (I’ve had since 1991). My wife told me, keep them you love goiing to the park and watching the games, man she was right, I do love it. I have had the opportunity to have my daughter go with me for the 21 years of her life and it has been wonderful to spend those times with her and even at home talking about the Orioles! It would be special to have her be able to witness more winning baseball (and a World Series) with me. Here’s to a great 2014 season. Keep the faith! Thank you Ed. Let’s hope for a great 2014 and beyond!! I have always been an Orioles fan and think this letter says what I feel perfectly. The 2012 season brought back a spark of hope to all Orioles fans and last season kept it going. Please, please keep the momentum going. The Orioles organization is a class act with the best fans in the world….so please leave a legacy! Wonderful letter! Stacey, thank you for the comments. They are much appreciated. Share this with others, lets get a movement going! I have been an Orioles fan most my life. Since I live in California, I’ve only seen the team in person when I’ve gotten to Oakland. But some of my greatest memories were seeing the Orioles on TV, seeing Brooks Robinson make superhuman plays, seeing Boog Powell blast one out of the park, Frank Robinson daring pitchers to throw inside, the great Jim Palmer blowing opposing hitters away. the unbelievable Mark Belanger making plays at shortstop. I yearn for those days to return. Sweet sentiment, well written and all but you sir are not a true fan because in that time “you’re not in a position to recount” the O’s did have moments of greatness. During that time you stopped paying attention real fans know Aubry Huff and Hip Hip Pie hit for the cycle. We know our boy’s pulled off the greatest comeback in franchise history vs the Red Sox and at least twice as many STD’s as usual were passed between consenting adults in Federal Hill that night in celebration. Watching the career of a great lead-off hitter and the best second basemen to come up through the Orioles system in Brian Roberts. Melvin Mora. Melvin was a gamer and a joy to watch. Erik Beddard leading the AL in strike outs. Watching Adam Jones’ first season and seeing his first grand slam against the Yankees in one of the greatest at bats I’ve ever seen and knowing we were on the right track. Seeing Nick Markakis’ first spring and watching him beat the cover off the ball to secure a spot on the opening day roster. 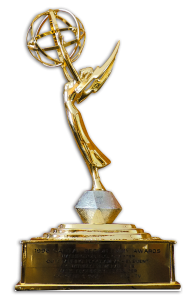 I saw those and countless other moments that I could recount because I love and support my team. You didn’t see those things because you weren’t there and I hope you teach your children better. Orioles fan attendance after Cal hung up his cleats was embarrassing. While there’s probably not much hope for you; your girls still have a chance to be good fans. You see, there are stadiums in this country that are never empty no matter how good or bad a team is. Wrigley, Yankee Stadium, Fenway, Bush Stadium, Chavez Ravine etc. Good fans buy their season tickets whether the team is good or not. We don’t stand by idly while our stadium becomes a ‘home away from home’ for visiting teams within in day’s drive or a short flight. We don’t start leaving in droves during a the eighth inning of a HOME PLAYOFF GAME when we’re down because we know the game isn’t over until we get our last at bat. If you teach you kids anything teach them to stay. Stay when we’re up, but stay when we’re down because our team is only as strong as our fan base. We make it possible for a team to stay competitive by purchasing tickets and merchandise. The Yankees, the Red Sox, the Cubs they’ve all had their share of bad runs, mismanagement, poor deals, long rebuilding processes etc. The biggest difference between them and us? Their fans stayed. So stop blaming Peter Angelos and look in the mirror, look in the mirror and tell yourself you won’t let the next generation of fans let our Orioles down. Or don’t. trust me, we won’t miss you. Zachary thank you for taking the to comment. I paid closer attention than you think to the individual performances. But don’t miss the point, I’m simply sharing a story to ask Mr Angelos to not lose sight of what is in place right now. Go O’s! Thank you again for taking of your valuable time to respond. His legacy over 21 years has been well-made. He’s exactly what you think he is which is why he couldn’t care less about you or me or any Orioles fan anywhere. He’s proven over a quarter of a century what’s important to him: him. WOW!!! Great letter. It all sounds so simple and makes complete sense to me and, obviously, to you and so many other Orioels fans. Two of my older siblings were around when the Senators were in DC so they “put up” with the Orioles but were never really fans. Cal Ripken was their only exception… they loved him. At any rate, they are now Nats fans and we do have some heated discussions. My brother irritates me to no end because his only argument for not supporting the Orioles is that he can’t stand Peter Angelos. I always respond, “If you are a baseball fan, you support the team regardless of who owns them. He isn’t out there playing. These guys on the team are busting their butts for the fans. You show your support for them.” I amnot really all that happy with the way Angelos handles the team financially either but I don’t know all of what goes in to owning a team so I choose not to focus on what Angelos is or is not doing and focus on the guys playing the game day in and day out and giving their all regardless. We have similar stories though in regards to being “away” from baseball for a while. I sent you an e-mail about that so as not to clog this board up with too much. Again… great letter!!! Thanks for sharing. WOW! Great letter! It seems so simple and it seems to be just plain ol’ common sense to you, me, and so many other Orioles fans. You are right, there is a lot we don’t know about what goes into owning a team and deciding on who will be paid what. We all have our criticism and we all wish things were handled differently but the bottom line is the Orioles are my team. Two of my older siblings were around when the Senators were in DC and were the team. When they left, they kind of supported the Orioles but to them it wasn’t the same. I was born after the Senators left so I grew up watching the Orioles. So… my sister could really care less. She has nothing against the Orioles. She is just a Nats fan now that DC has a team again. She will cheer on the Orioles as an American League Team but when they play the Nats, forget it… she is a Nats fan. I am the reverse on that… I can support the Nats as a National League team but when they play the O’s, for get it… my boys in orange and black have all my support. Now, my brother is a different story. We have had a few heated arguments. 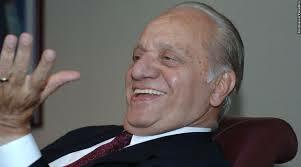 He hates Angelos and says that as longs as he is the owner, he won’t support the Orioles. Well to me that means he isn’t a true fan of baseball. If you are a fan, you supoort your team regardless of their ownership. There were years that I paid more attention than others but overall, I have never stopped being an Orioles fan. I try not to pay attention to Angelos and what he does or doesn’t do. I focus on the guys and show my support for them as players. I remain hopeful as always. Go O’s!!! has felt. My grandson became an Orioles fan when he started playing ball and for his birthday I would take him to BAltimore to watch the games, no small thing since we live in the southwestern part of Pa, and he got to meet Blog Powell and Brooks Robinson and a couple of other players from the past and was in the junior Orioles, he loved them,but always had to watch them lose and not play their best and he got disappointed and gave up on them. But now I have a great grandson old enough to go to the games and since I am from Baltimore I want him to enjoy the games as I and my girls did, please Mr Angeles pay attention to this letter and thank you for writing it. Janice thank you for taking the time to read it! Great story you told as well. That was great, Mark! You said what all of us diehards are thinking. Please let us know if you get a response. Will do. Thanks Colleen. Hope all is well. The Journey, One Word at a Time: It’s Just About… Life.